I've been waiting all day to get home to show this to you! BlushingNoir and I have been exchanging notes on Twitter for some time about the Las Vegas de Chanel collection after seeing the info on La Chanelphile, mainly how badly we want it and speculating when it will be available. Not getting anywhere, I called the Las Vegas boutique last Saturday in hopes that they would have more concrete answers, which was when I found out it was already there. I ordered two pieces on the spot (I don't need a gold lip liner, and I already have a gold lipstick). Now keep in mind, that phone call happened when I was in a stadium waiting for a concert to begin. That's some dedication, y'all. The Lucky Stripes powder is actually intended for eyes and cheeks, which is why I decided to show you how it works both ways. 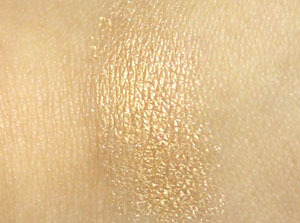 As expected of something that's paying homage to Sin City, it has shimmer galore. 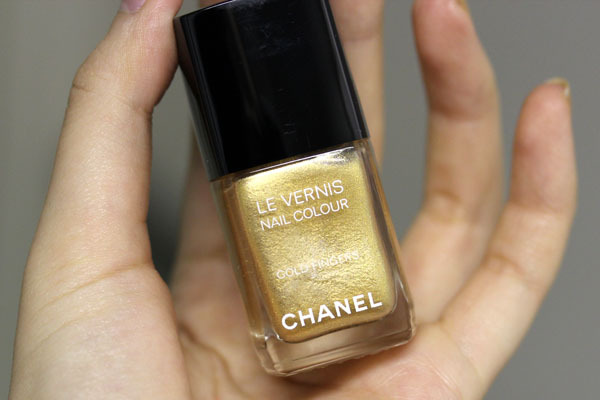 But again, as expected of Chanel, it's refined shimmer. 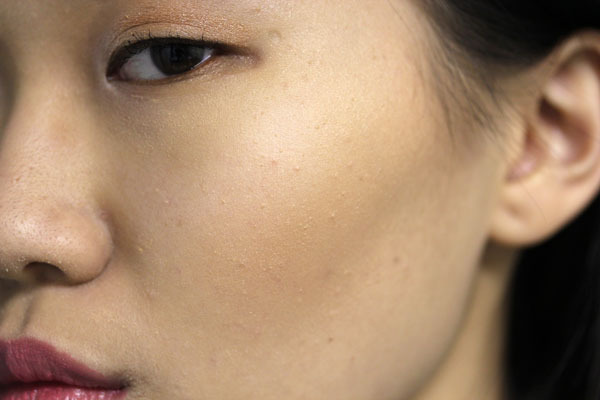 The thing about this powder is I'm not sure if it was supposed to be a bronzer or an illuminator. I expect it could swing both ways depending on the stripes you sweep through/your skin tone. 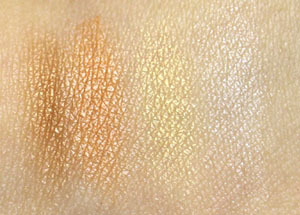 As you can see from the swatch, it looks like an illuminator, but I used it on my cheeks the way I would use a bronzer and it seems to work. 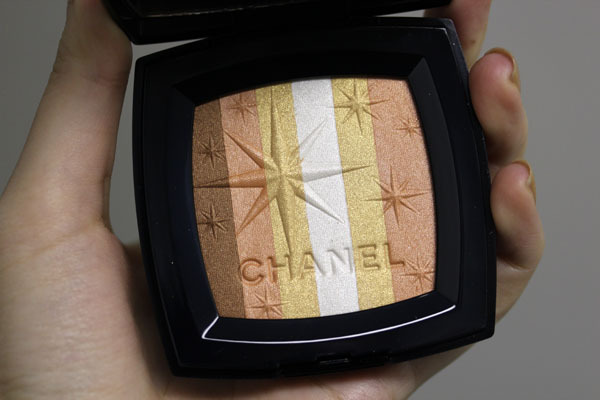 Either way, the effect of the powder is this glowy radiance that I like very much. Gold Fingers is like a yellow gold version of Graphite, but with less dimension. The polish is somewhat sheer, considering that I applied two coats and could still visibly see my nail line. I think this could be overcome with more coats or thicker layers (case in point: pinky and ring finger), but personally I'm disappointed by it. The brush is slightly longer than what I'm used to for Chanel, but that does not present issues with application. Chanel Lucky Stripes retails for $95 and Gold Fingers is going for $28 (yikes on both counts). The boutique charges $12 for 2-day FedEx shipping (signature mandatory). To phone in your order, contact the Bellagio Chanel boutique at 702-765-5505. Both items are gorgeous!!! I wish, tho, that Chanel's limited items had similar price points to their regular items. The powder is so pretty. I like that subtle shade of gold. Breathtakingly gorgeous ! I need this! So very pretty on you!You look AMAZING. But I think it's too yellow for my pinky paleness. Me and golds don't get along to well. You look like a goddess in it though! so pretty! may i ask what color you are wearing on your lips? it's like a perfect pink! I really like Lucky Stripes. Xiao, do you think it'll work with my coloring? Also, you didn't give any contact info. I tried googling the Bellagio Chanel phone number, but there was no answer. Thanks in advance! Disregard previous comment! The second attempt got through. The number's 702.765.5505. Customer service was great. Gorgeous!! 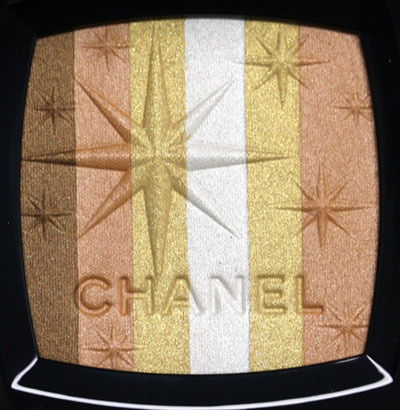 Chanel did it again, an exquisite limited edition product! Gorgeous! I need that polish! Wow so pretty! 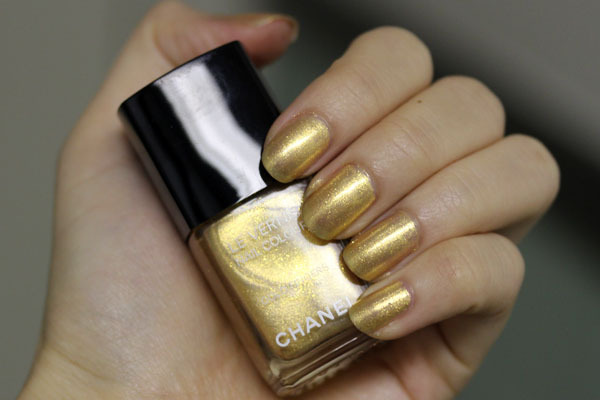 I haven't tried Chanel yet, but they look amazing on you! 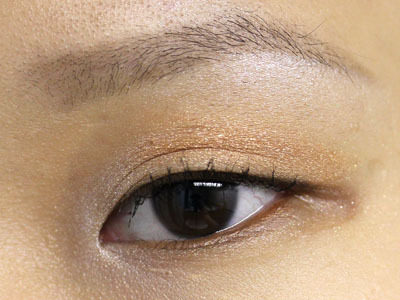 I adore this gold shade on your lids Xiao! Its not something I've seen you wear much before. And the application you used is terrific. 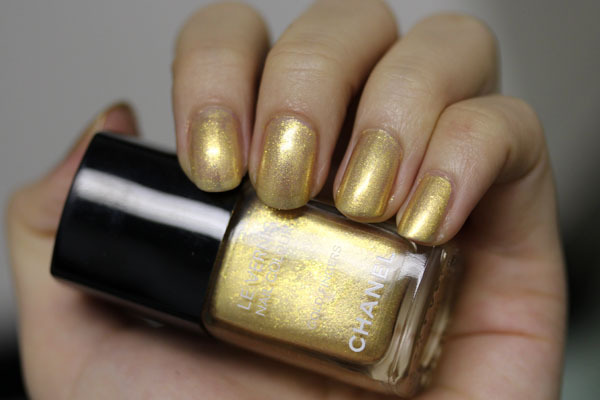 Not much of a fan of gold polish unfortunately - I'd love to have that perfect ONE shade, but I've yet to find it!